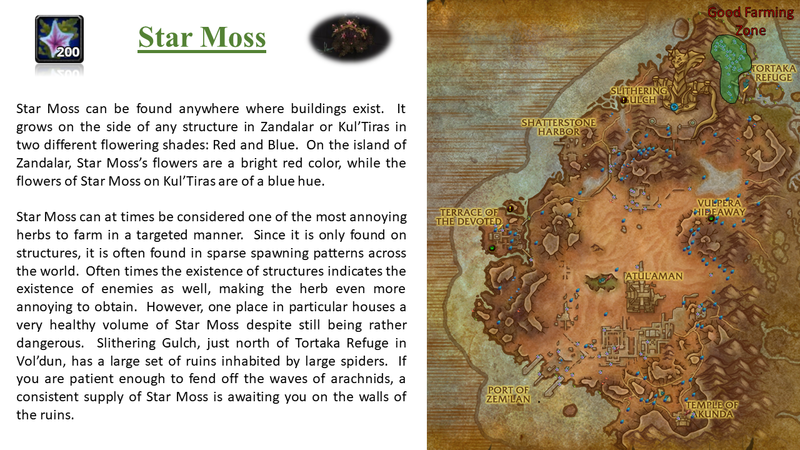 I've finally crawled out of my world quest hole long enough to post something relevant here! 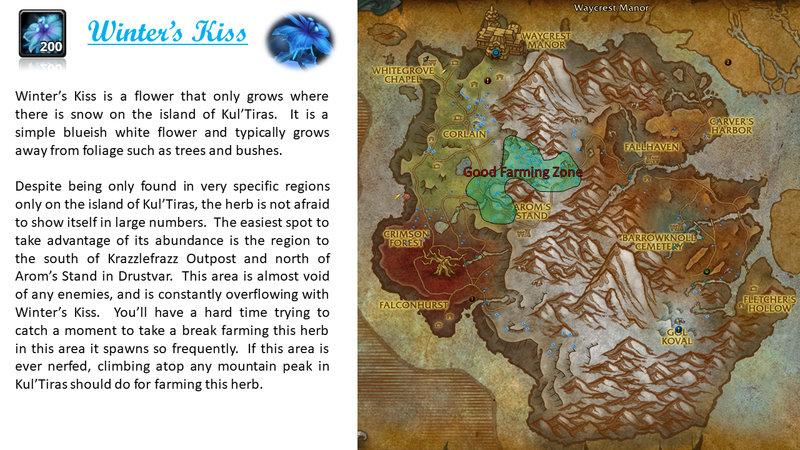 With raids on the near horizon and releasing in a week and a half, the demand for herbs will soon be extremely high. 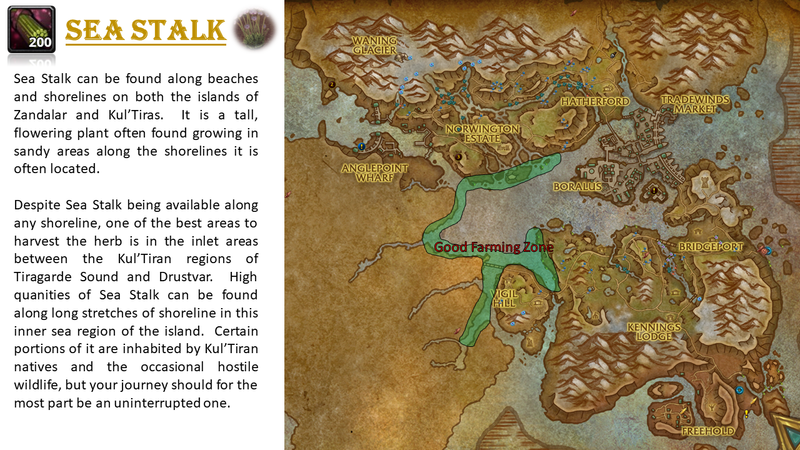 In lieu of this, I have decided to create an article detailing the best locations to farm each herb found in Zandalar and Kul'Tiras. 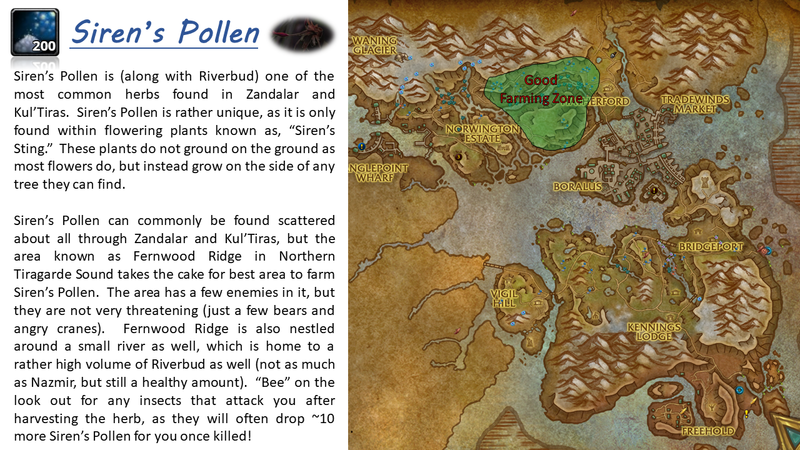 Below you will find an infographic on all seven herbs found on the two islands (Akunda's Bite, Star Moss, Riverbud, Winter's Kiss, Sea Stalk, Siren's Pollen, and Anchor Weed). 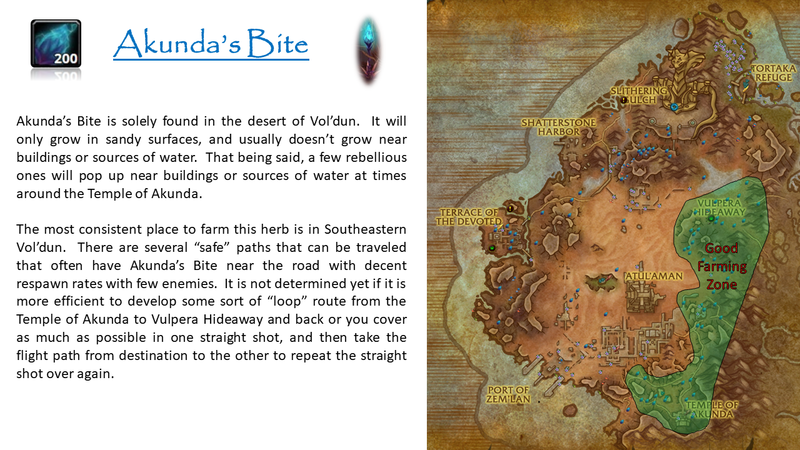 I hope everyone finds this helpful in their herbing endeavors! You can see some of my example Gathermate 2 data overlaid with the maps I've posted to help give an indicator where things are at. 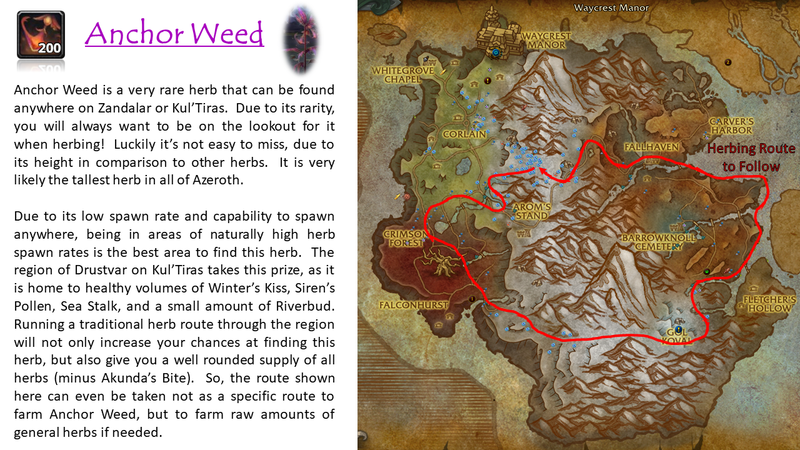 I don't have all herb nodes on my maps however, so keep that in mind! Don't forget, if you are a raider to sign up for items to donate to the guild bank by August 28th! 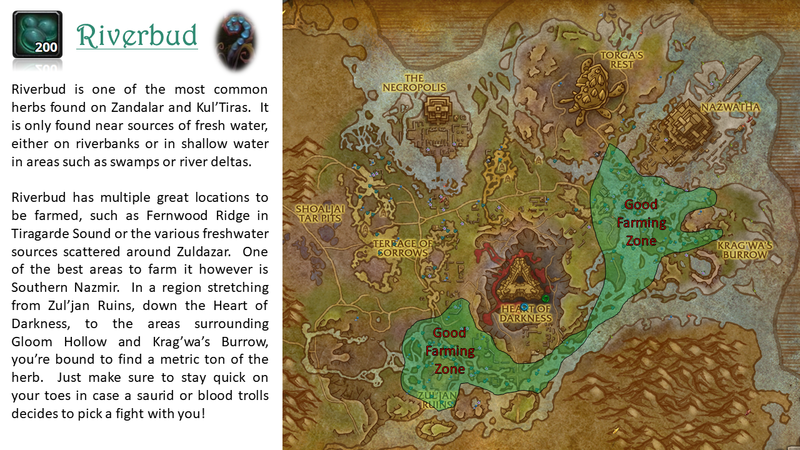 The signup post can be found here.